Learn all about 4K Ultra HD in our easy-to-understand guide. We examine the promises and the pitfalls of this cutting-edge standard, plus a discussion on cabling! This article was written based on information available as of May 2015. What is 4K? What is Ultra HD? 4K and UltraHD both refer to video resolution sizes. The terms can be applied either to a display device like a television or projector, or may refer to the frame size of a video file or image. To be technically correct, 4K refers to the digital cinema standard of 4096 x 2160, while Ultra HD refers to the home theatre standard of 3840 x 2160. For consumer level home theatre gear like you'll see in stores, they'll all be talking about 3840x2160 when they say 4K. It's is a nice, snappy way to refer to Ultra HD, and has become the go-to buzz word for both manufacturers and retailers. We use both 4K and Ultra HD terms here at Cable Chick - sometimes together - and we mean the 3840 standard, too. How much bigger is 4K Ultra HD compared to Full HD? Four times. It's just like taking four 1080p displays and stitching them together. This results in a quadruped image size and a similar increase in bandwidth, too. 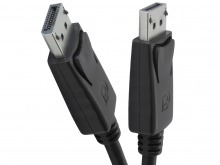 It's no small task for HDMI and DisplayPort to keep up! For the foreseeable future, only HDMI and DisplayPort will be offering 4K/Ultra HD resolutions. That may sound like a limitation, but with most modern home theatre equipment already running HDMI, and most modern computer equipment offering DisplayPort (and usually HDMI as well) there's a lot of easy backwards-compatibility with current source devices. This means you won't need to buy a new DVD player to watch your old DVD collection - it can connect to a 4K display and run as normal. Same goes for all your 1080p Blu-rays. They'll just stretch up to fit your huge 4K TV. Only 4K content will look good on a 4K display. While 576p DVDs will look poor on a large 4K display (especially if you sit too close), 1080p Blu-Ray movies usually scale up remarkably well. Do I need a new DisplayPort cable to run 4K? Possibly. Unless your current cable is at least DisplayPort HBR2 rated, you may need an upgrade to a higher-bandwidth option if you want to use a 60Hz refresh rate (which you do for showing computer desktop and gaming output). 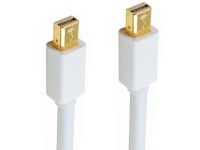 HBR2 (High Bit-Rate 2) rated DisplayPort cables like the ones we stock at Cable Chick can handle 17.28 Gbps, and future HBR3 rated DisplayPort cables will run at 32.4 Gbps. Either of these can handle Ultra HD 4K at 60Hz up to 3 or 5 metres in some cases. If you purchase a 4K display and it comes with a DisplayPort cable, it shouldn't have any problems. If its too short and you need to purchase a longer cable, be sure to get a good quality certified one like those linked at the bottom of this article. Do I need new HDMI cables to run 4K? This is a tough question to answer, as a HDMI cable's ability to handle 4K is governed not only by the quality of its materials but also its length. In theory, any HDMI cable which is rated as High Speed should be able to support 4K@30Hz, but in practice, we've seen wildly fluctuating results based mostly on length. 4K requires a lot more bandwidth than 1080p, and bandwidth is lost due to attenuation over the length of the cooper conductors inside the cable. You may need a new HDMI cable to run 4K if your current cables have light gauge cores, are over 5m in length, or you want to run 60Hz content. Right now, we have only been able to test our HDMI cables at 30Hz for 4K use in-house, which requires 8.91Gbps of bandwidth. At 60Hz, up to 17.82 Ghz will be required. This puts a hard limit on cable length. The good news is that 4K 60Hz HDMI displays are rare right now, so you don't need to over-spend on cables until all your hardware is HDMI 2.0 compatible. If your new 4K display didn't include a quality HDMI cable or you were hoping for something longer, check below for some links on our best 4K@30Hz contenders. Refresh rate - 30Hz vs 60Hz. The refresh rate a TV or monitor runs in defines how many times per second a frame of video is 'drawn' on the screen. The general rule of thumb is that 30Hz is fine for movies and live-action video (which are usually filmed at 24Hz, or frames per second), while 60Hz is desirable for computer and gaming use. 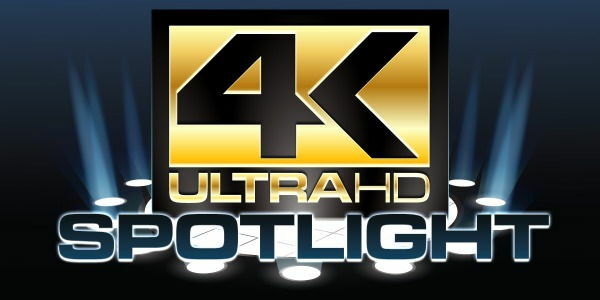 At the time of writing, there is a distinct lack of 4K content in the marketplace. This is mostly due to the fact that 4K displays have arrived before a new media standard has been proposed. Where Blu-ray and HD-DVD pioneered the push towards 1080p, there is no similar technology update for 4K. Yet. Blu-rays claiming to be 'Mastered in 4K' are really just 1080p discs sourced from higher resolution originals. This can give additional sharpness to the 1080p image, but isn't actually 4K content. 4K displays upscale 1080p content to fit the screen. Today, only personal computers and internet streaming services offer true 4K content, and again this is with some limitations. Most graphics processing units (GPUs) made within the last 18 to 24 months or so will support 4K as an output resolution (either at 30Hz or 60Hz). Even Intel's latest integrated HD graphics solutions can pump out the pixels necessary for Ultra HD, and so can Apples latest Mac Pros and Macbooks. Connecting to a 4K monitor is only half the battle, though, because only your basic desktop applications and those games specifically built by their developers to support 4K will output as true 4K. If you are running older games that are limited to a 1080p maximum, they won't look very nice. Where filmed video at 1080p upscales nicely to 4K for watching movies and TV series, games don't stretch well at all. Check your games can run at 4K before splashing out on a new screen. This massive resolution comes at an added price, too. Running a game at four times the size of 1080p will place a heavy burden on your graphics processor, which will reduce your performance in-game and could make some titles run at such low frame rates that they are unplayable. Whether you're watching it on your computer or piping it directly to your Smart TV, there are a couple of new 4K sources around which can let you stretch the legs of a 4K display without the need to spend thousands on a gaming-grade PC. Both YouTube and Netflix already offer native 4K content in Australia, and overseas providers like Amazon also have many titles available in Ultra HD. Selection is limited and quality may vary, but their catalogues and playlists are always improving. In the coming months and years, we expect to see native 4K Blu-ray discs become available (along with new 4K Blu-ray players to run them). We expect that content providers like Foxtel will also announce 4K content, but again this will require a hardware upgrade. Likewise terrestrial free-to-air stations will move towards 4K streaming, but whether or not Australia has the infrastructure to deliver this sort of bandwidth remains to be seen. We're not holding our breath for this as an answer to the shortage of 4K content, making the decision to upgrade to Ultra HD very difficult. Should I upgrade to 4K? For your home theatre; probably not just yet. Unless you're going to put the time in to research each component, and the big bucks in to buy the latest and greatest tech, the best you can get from HDMI-based home theatre equipment right now is upscaled 1080p content, or a limited selection of native 4K content at 30Hz, making it a very tough sell. If you are only in the market for an extremely large TV, a 4K panel might be the behemoth you've been dreaming about. It can still connect to your current HDMI 1.3 and 1.4 level media players, but that's not going to give you a true 4K picture. On PC, you can certainly put together a lightning-fast super-computer that can play many titles in 4K at 60FPS right now, and this ability will be expanding quicker in the short-term than home theatre solutions. But, you have to really love your gaming and be prepared to sacrifice things like gameplay recording/streaming and also put up with things like Windows' poor DPI scaling to name only two of the pitfalls. It's expensive right now, but definitely possible. Sufficed to say, 4K has some teething problems at the moment, but it's more likely to stick around than 3D ever was. 4K isn't an easy topic to get your head around. If the Gbps and the Hz have you at your wits end, don't hesitate to contact us - we'll do our best to answer your questions!